Part of using a planner is trying to put some organisation in my life. It’s also the place to record new commitment and project plans! The latest priority in my life is getting more healthy and fit. For me, working out always require some discipline, whether it’s a training plan or a fixed schedule of exercise. Using the vertical calendar of the Cousin to track eating plan and exercise hours is looking to have a fruitful result! I’m already loving the dropping numbers in my weight and body fat. 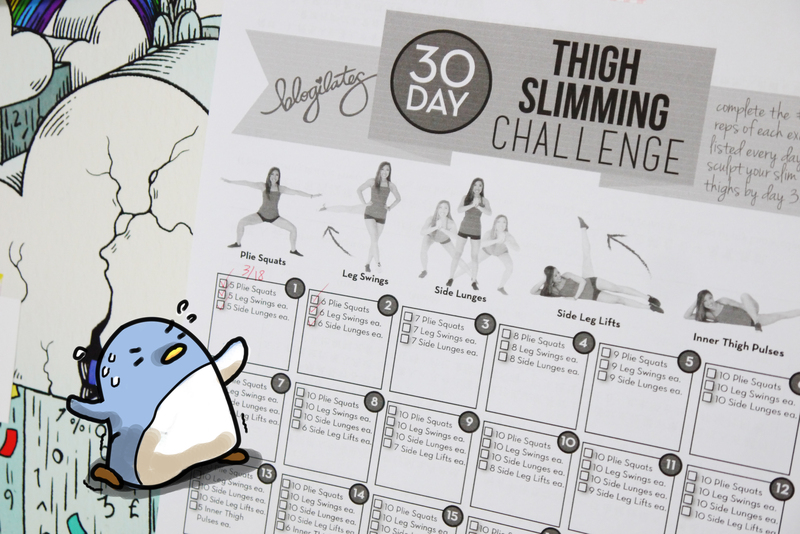 My next challenge is to actually take photos of my before & after, and putting it inside the planner as well…(this is going to take some courage). 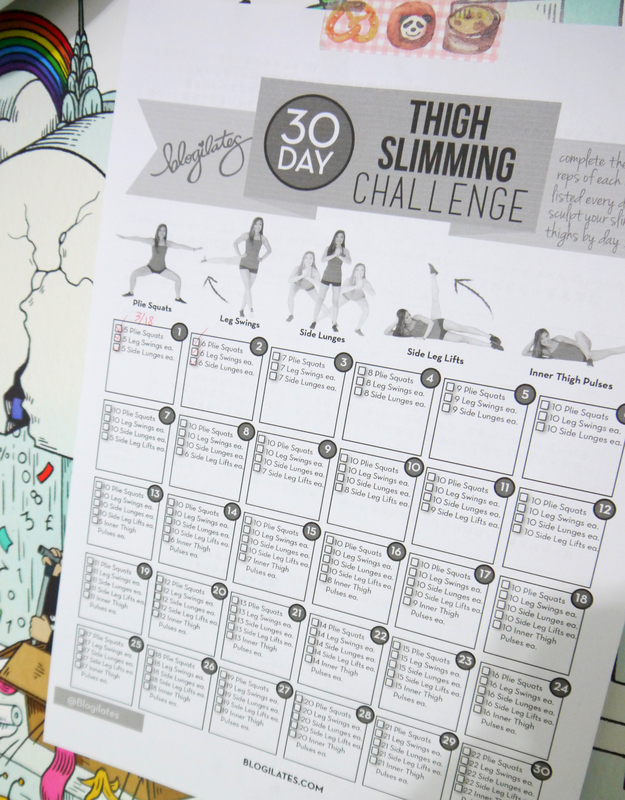 One of my latest commitment to a exercise plan is Blogilate’s 30 day thigh slimming challenge. I have lumps on my thigh where a 25 year old shouldn’t have! These exercises are really easy to do, plus I can totally fit it into my 1 hour speed walk in the evening. One thing I really love about this calendar is that there are check boxes that you can tick off each day as you complete the set. The number of reps starts out slowly, so I’ve yet to feel the burn. Hopefully I’ll have better thighs by the end of day 30! Then I could cut this out and stick it in my health journal as a certificate of accomplishment!